On Saturday, the chief of the Catalan police, Jose Maria Romero de Tejada, was informed that both he and his officers have to answer to the Civil Guard and Interior Ministry commander Colonel Diego Perez de los Cobos. The Catalan police, Madrid claims, have not been complying with their instructions to clear protesters away from government buildings. Although de Tejada remains formally in charge, he must now take orders from Colonel Cobos, who has already deployed additional National Police and Civil Guard forces into the autonomous region. 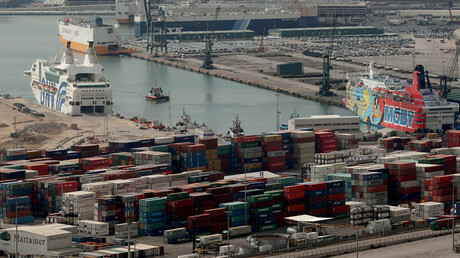 However, Catalonia’s Interior Minister, Joaquim Forn, condemned the move as an attempt by the federal forces to hijack the local police force. “We denounce the intervention of the state to control the police forces of Catalonia ... We will not accept this control,” Forn said, as cited by Reuters. 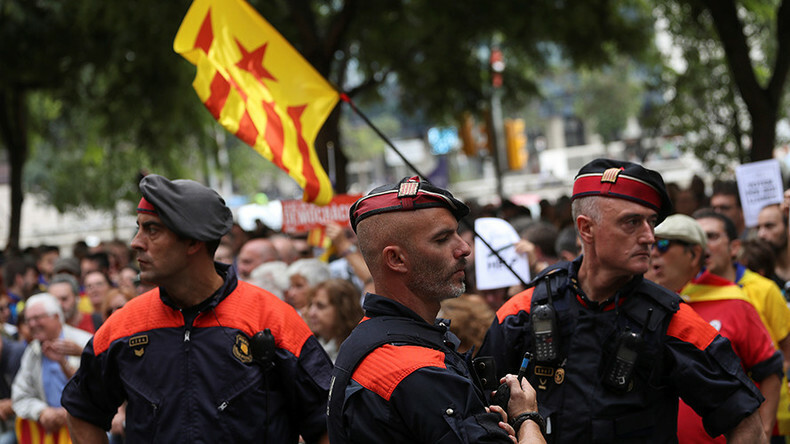 Forn noted that the chief of Catalonian police force, Mossos d'Esquadra, rejected the proposed takeover as well as he met with the National Police and top state prosecutor, AFP reported. 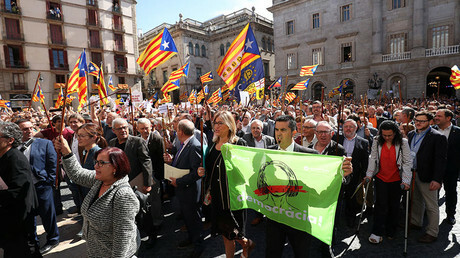 The federal government, through its representative in Catalonia, Enric Millo, urged Forn against fueling street protests with his rhetoric, arguing that the government “is not taking over the police competencies of the regional government,” but assumes the role of a coordinator of a joint security operation. The Spanish government in Madrid has arrested a number of Catalan officials backing the vote, as well as shutting down pro-referendum websites and raiding printing companies in search of ballot papers and boxes as well as other materials to be used for the vote. Over the past few days, rival protesters and counter-protesters have been facing off on the streets of Barcelona and other Catalan cities. On Saturday, thousands of students rallied outside the University of Barcelona demanding an end to the government crackdown. “We are here to defend our future state. Students are a very important part of our society, the youngest, so we need to make them conscious of what’s happening here,” a young man at the demonstration told RT. Catalonia is sharply divided, with a government poll in July finding that 41.1 percent of people were for and 49.4 percent against independence, although the vast majority agree with holding a referendum to decide the matter. Although the logistics of the referendum have been put in jeopardy by the actions of the Spanish government, Catalan President Carles Puigdemont has encouraged people to bring their own ballots and show their support, no matter what happens on October 1.